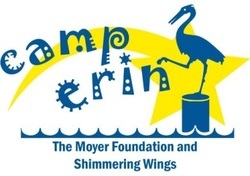 Camp Erin is funded entirely through the generosity of individuals, grants and corporate donors. 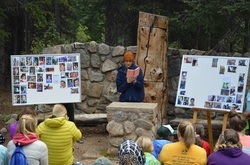 We invite you to support the programs of Camp Erin by donating toward items on our Wish List. Please contact us regarding our current wish list needs. Volunteers are the backbone of all the work we do! Please contact us for further information about volunteering for programs and events of Shimmering Wings. Your 100% tax-deductible donation will be put to direct, wonderful and purposeful use through the different programs Shimmering Wings offers to assist those that have suffered the trauma of childhood loss. ​Mark your calendars! On April 24, 2019 from 6 to 9 pm, Shimmering Wings will be hosting its First Annual Shimmering Wings Golf Tournament, to be held at Top Golf in Centennial! Additional information is available at the Topgolf link. Contact us if you're interested in being a sponsor!